The wood fire process has a strong contemporary presence in the field of ceramics. The wood kiln is a method of firing ceramic artwork that relies only on the use of burning wood to reach the desired temperatures. During the firing the flame travels from the front to the back of the kiln, licking and caressing each piece, leaving it’s mark as evidence on the clay. The artwork becomes engulfed in a river of fire. The presence of mark making is reflected in the way that each individual piece is prepared, or wadded, for the loading of the kiln. Not only does the wadding prevent the artwork from fusing to the shelf, it allows the artist to determine where firing marks will be placed on the individual pieces. The wood ash texture that adheres to the surfaces can range from the subtle to the extreme, based on location in the kiln. The wood fire produces glossy and matte surfaces, creates cracking and splitting of the clay, ash drips that trail across the artwork, and sporadic movement of lines created by the flame. These are all highly desired qualities from this historical technique. 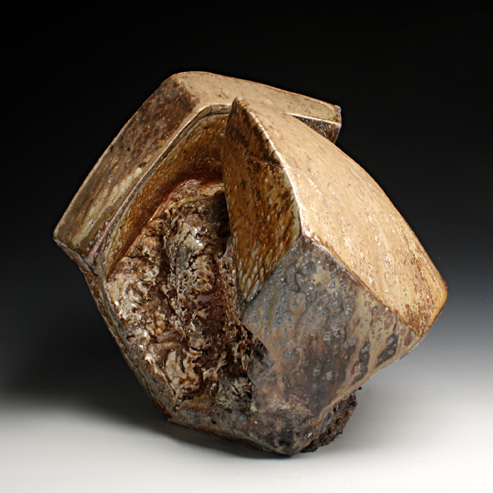 Wood firing connects the artist with the work throughout the entire process. A process that can have certain and uncertain results, but allows answers to questions that may be faced in the next firing. To practice the ancient technique of wood firing, you have to be willing to accept failure and exhaustion, without breaking your mind, body, or spirit. For this exhibition, Long-Term Resident Perry Haas has curated twelve contemporary ceramic artists who all utilize the wood fire process to achieve their desired results. He has a passion for wood firing and a vision of maintaining an ongoing dialogue about evolving practices in the field of the wood fire process. This is shared with the twelve invited artists; a unique group of artists who all have the same drive and discipline in their studio practice. The artists selected for this exhibition are in different stages of their careers, ranging from emerging artists to established professors. The Wood Fire Invitational 2015 is diverse and showcases the many variations that are achieved from the wood kiln, and reference everyday utility to the ancient artifact. Invited artist’s include: Heidi Kreitchet, Ted Adler, Josh Copus, Martin Tagseth, Robin DuPont, Tara Wilson, Alix Brodeur, Dan Murphy, Casey Zablocki, Perry Haas, Jason Hess, and David Peters.